Kihei Villages 1-101 first came to market in early January of this year and needed some time before being able to attract some interest. The unit actually went into escrow in April, but the deal eventually fell through after a few days. Since April, the unit actually underwent a few price reductions but it still was not able to find a buyer. 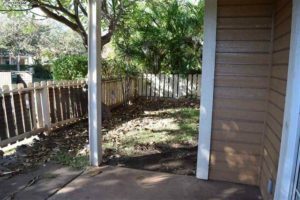 Once August rolled around, we had a buyer looking for an attractively priced Kihei unit and it was the ideal match. We excitedly brought our buyer by and they felt it was the right move. We got the unit into escrow in early August and are proud to close 25 days later for a sale price of $307,000. 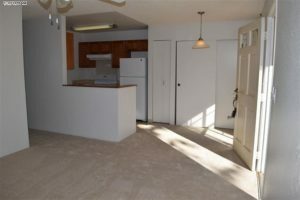 The unit itself is a spacious 2 bedroom, 1.5 bath, and 750 sqft of interior living. With an additional 75 sqft off of the back lanai, it is perfect for entertaining or utilizing as a 2nd living area. 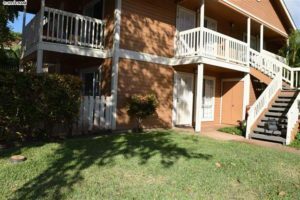 With a fenced in backyard, the unit offers a single home family feel with all of the convenience of condo living. With a low purchase price, there is some room for upgrades to bring the unit up to speed. You can always count on Kihei Villages to produce results. With $10.2 in running volume, the market is off to a fantastic pace and has only picked up pace since the New Year. It is the 2nd half of 2018 that been most productive where it has seen 13 sales in the past 3 months, while January and February were particularly slow. As expected, buyers are very aware of Kihei Villages low barrier to entry and the value they represent. While the complex is on the large side, buyers get very great value for their dollar. Especially the 1st floor units who get their very own fenced in backyard. So far, 24/31 units sold were able to find a buyer within their first 3 months on the market; however, even on the longer end, it still only took a little under 8 months to find a new owner. 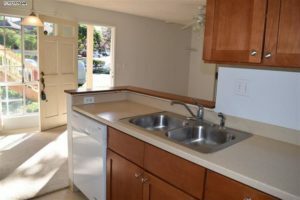 In the $200k price point, 5 units were sold and are still very desirable units considering the low price range. The bulk of sales fall in $300k where it saw 25 units sold. Only 1 sale in 2018 was able to command more than $400k which is just about the ceiling in the complex. For a better idea bout the market, check out our complete Kihei Villages sales data. Kihei Villages always sees consistent inventory hit the market. With more than 500 units in total at the complex, there is bound to be units coming to market. The make up of the unit is mixed, some are first time home buyers while others are investors looking to generate cashflow. Units come wit h2 assigned parking stall which is in added bonus because sometimes parking at condo complexes can get tricky. From looking at the market, the lower and upper end are the least represented with only a handful of units. It is the middle market that currently has the most inventory 9 units for sale. All 12 listings have been on the market for less than 6 months and are eagerly awaiting an interested buyer. In terms of price/sqft, buyers should expect to pay around $400-$550.